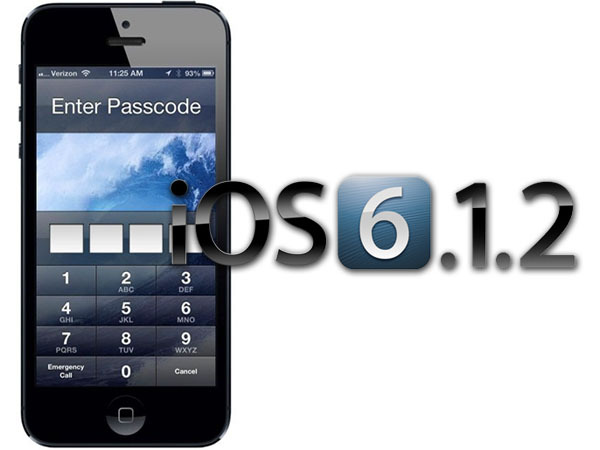 Soon after the iOS 6.1 was released, users all over the world discovered certain irregularities in what concerns the security implemented by Apple on their iOS 6.1 devices. Most of them encountered certain problems and bugs, but now, Apple is planning to release iOS 6.1.2 next week mostly to fix the Exchange and Lock screen bugs. Therefore, unknown sources suggested the fact that Apple is planning to release the next software update and namely the iOS 6.1.2 early next week, in order to fix all those issues including the Exchange and the Lock Screen vulnerabilities. As some of you already know, the Exchange bug prevented people to access their Exchange account and in the same time, it decreases the battery life and performance of their devices. In the same time, users encountered another problem within their iOS 6.1 devices. Apparently, by following some simple steps, users were able to bypass the Lock Screen passcode of any iOS 6.1 device and access the most important data. Therefore, in this way, your device is no longer protected by the lock screen password and other users can easily access your iMessages, emails, photos, FaceTime and even call log. At the time, Apple was informed by this nasty bug and they offered a statement suggesting that they will deliver a fix in a future software update. In what concerns the Exchange bug, both Apple and Microsoft offered an alternative solution in order to temporary fix this bug. However, users were advised not to use the Exchange service until the problem is fixed. Official fixes for both of these problems are likely to be included as a part of the new iOS 6.1.2 update, which is scheduled to be released until the end of this month. The source for this news is likely to be trusted because in the past, it offered various accurate reports concerning different iOS updates and release dates. If you are dealing with at least one of these problems, or even with other different bugs, then, you are probably eager to see the new iOS 6.1.2 release next week. However, this software will be suitable as long as you do not rely on a jailbreak device. 0 Respones to "iOS 6.1.2 Will Be Released Next Week to Fix Exchange and Lock Screen Bugs"